Has Anyone Heard of William Henry Harrison? 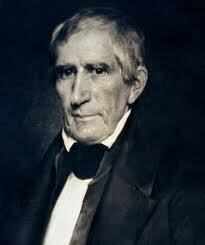 From what I can determine, about ten times more Americans believe in aliens than remember that William Henry Harrison was once the president of the United States. And about twice as many people believe Elvis is still alive as recall that Harrison was once the leader-of-the-free-world. His presidency was so brief that historians seem to have a difficult time figuring out how and where to rank him amongst all the US presidents. In fact, he is unranked in about half the surveys I’ve reviewed, and falls squarely in the bottom quartile in most surveys where he did garner a grade. The only reason I’m familiar with his connection to the presidency is that back in the ninth grade a few of us in Mrs. Houk’s freshman history class, forced to enter the school’s history fair, found that our projects survived the local and regional competitions and wound up at the Texas State finals (no, I was not a jock in high school). Bored during the long drive to Austin, it seems we could find nothing more exciting to pass the time than memorizing the then-forty presidents – in chronological order, of course. And ever since that day William Henry Harrison’s name has been vaguely etched in my mind. The first of just two biographies I have on Harrison is “Old Tippecanoe: William Henry Harrison and His Times” by Freeman Cleaves. 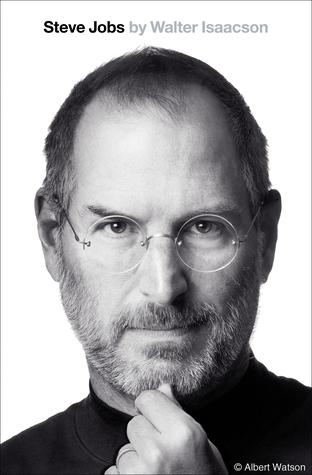 Published in 1939, this biography seems to be an old classic – which makes me wonder how readable it’s going to be. Probably due to a lack of alternatives, it always makes any list of books to read for those interested in reading a biography of each president. The second of my William Henry Harrison biographies is “Mr. Jefferson’s Hammer: William Henry Harrison and the Origins of American Indian Policy” by Robert Owens. Published in 2007, this book has been termed a “cultural biography” and seems to elicit a love-it-or-hate-it reaction among those who have read it and written about their experience. All I remember about him from school was his slogan, “Tippecanoe and Tyler too”. We took a Nerd Trip to visit his grave in North Bend, Ohio. I don’t think it gets a lot of attention, the signs were worn and we drove by it a couple times before we found it. That was a few years ago, so maybe he’s gotten some attention since then. I have a post about his feud with Tecumseh pre-1812. Pretty fascinating frontier history. I think the chapter on Harrison in “Forgotten Presidents: Their Untold Constitutional Legacy” by Michael J. Gerhardt did a fair job on some detail and speculation of his presidency, especially his fighting Clay for power and the relentless stream of office seekers that likely contributed to his death. As for ranking his presidency, I would think since he didn’t do much of anything that all presidents who are deemed to have done well would rank above him and all presidents deemed to have done more harm than good would be ranked below him.